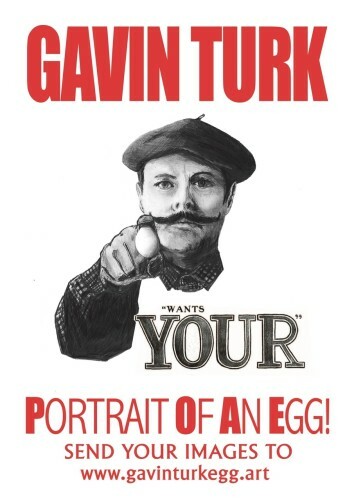 Gavin Turk will be featuring his giant bronze egg sculpture Oeuvre at Somerset House along with an ambitious new project titled Gavin Turk - Portrait of an Egg in collaboration with Photo London. This participative artwork invites people to contribute an original photograph inspired by an egg. All photographs submitted, will be presented in a special exhibition at the heart of Photo London at Somerset House, May 16th – 19th.